Looking Forward to the 2019 Summer Leadership Conference! We’re looking forward to a great week next week at the Summer Leadership Conference – July 22-26! We have a great week planned and are very excited about the expertise and energy that our facilitator, Dr. Bryan K. Williams, will bring to the 2019 Conference. Here’s a preview of what to expect. With so much change happening now, the Summer Leadership Conference is an ideal way to refocus, recharge, and plan for today, tomorrow, and the year ahead. There are still a few seats available if you’re looking for something to do in July! You can also post pictures in the SLC Facebook Group. The “triple aim” in healthcare refers to the drive to increase quality, improve the customer experience, and lower cost. For healthcare managers, this triple aim may seem more like three bull’s-eyes painted on our backs! The Center for Medicare and Medicaid Services (CMS), have released thousands of pages of new and proposed regulations regarding hospital services, physician payment, and long-term care services. These changes are dramatic. In the midst of this, healthcare providers are experiencing significant declines in demand and utilization. Hospital occupancy, skilled nursing occupancy, and other measures of health care utilization are lower than in years past. Labor costs and economic pressures are beginning to feel like it’s the 1980s, rather than 2017. With restrictions to payments, and declining occupancy & utilization, increasing labor and supply costs could be the last straw on many a camel’s back. In spite of these three bull’s-eyes, healthcare managers are expected to carry on, demonstrate leadership, and manage effectively in the midst of this turbulence. Taking a break from the relentless stress is not only a good idea, it may be essential to continued health and sustainability for many managers. Refocus, recharge, and enhance your management skills, all while earning 15 CEUs – this is the Summer Leadership Conference! Conference rates are available from July 19 — 30. Please make sure that you use the conference reservation block code of NEWY0717. Learn more! Join us at the Summer Leadership Conference for a week of inspiring ways to energize employees and prepare for a more productive organization, from Clint Maun, CSP! If you are a long-term care leader who wants to enhance your management skills while creating a culture in which your team feels empowered to provide patients with a higher level of service, this conference is for you and top managers you depend on. Administrators, Owners, CEOs, ACHCA, and NYSHFA members and non-members, and other healthcare company providers will all benefit from this 5-day leadership workshop. Leading a health care services organization has rarely been tougher than it is today. Ongoing regulatory and payment challenges, human resource issues including generational, cultural, and language differences, as well as consumer demands can all challenge leaders and managers. Best-in-class models for leadership, sound principles of management, and the behavioral science of motivation will be presented in a series of highly interactive sessions. You will return to work equipped with new insights, a replenished supply of leadership tools, and a personal program for success. We’re thrilled to have Clint Maun, President and Senior Partner of Maun-Lemke, as our Facilitator for the 2017 Summer Leadership Conference. 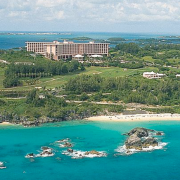 Perched on Bermuda’s stunning south shore with miles of pink sand beaches, the luxurious Fairmont Southampton, Bermuda beach resort sits on nearly 100 acres, dotted with lush bougainvillea and towering coconut palms. It offers unparalleled amenities throughout the entire property. Relax at the resort pool, or pull up a chaise lounge at the sprawling oceanfront beach club with Dive Centre, tennis courts, jet ski rentals, & more.